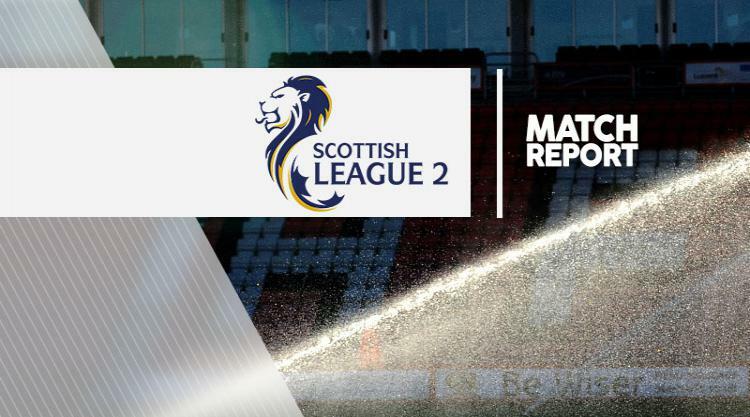 Arbroath closed the gap on Ladbrokes League Two leaders Forfar to three points on a day of contrasting fortunes for the two clubs. Forfar were stunned 2-1 at home by Edinburgh City while Arbroath beat visiting Clyde 1-0. James Lister put Forfar ahead just before the break but Derek Riordan and Lewis Allan hit back in the closing stages. Mark Whatley scored Arbroath's winner in the 41st minute. Annan also made up ground on Forfar and went third, David McKenna's 20th-minute penalty proving the only goal of the game at home to Elgin as the sides swapped places. Bottom side Cowdenbeath won for the first time in eight attempts and for the first time this year with a a 3-1 success at Berwick. Robbie Buchanan put the basement boys ahead on 16 minutes before Brian Ross and Kriss Renton made it three. Greg Rutherford scored a consolation. Stirling were 3-1 winners at Montrose through goals from Darren Smith, Ross Kavanagh and Connor McLaren. Kerr Hay pulled one back.